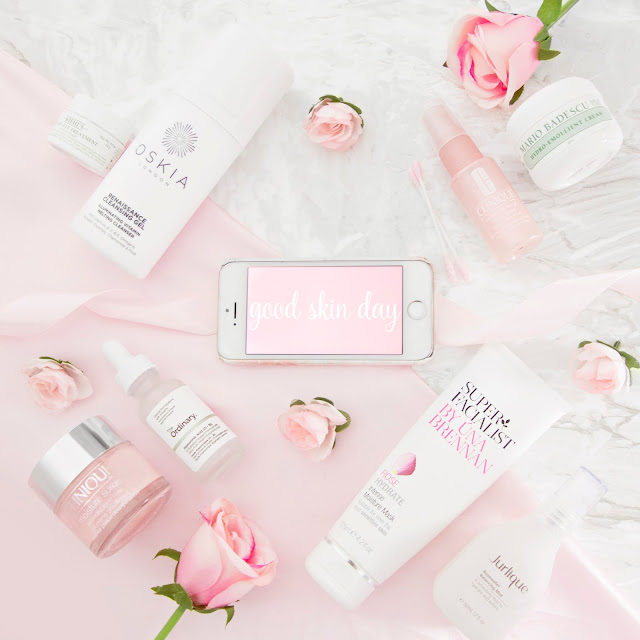 Recently I've been trialling some new skincare additions alongside my old favourites in an attempt to finally put an end to my dry skin woes, and I'm pleased to say that it's actually working! Right now my skin is the least dry that it has been in years, so I thought I would share my current routine with you. 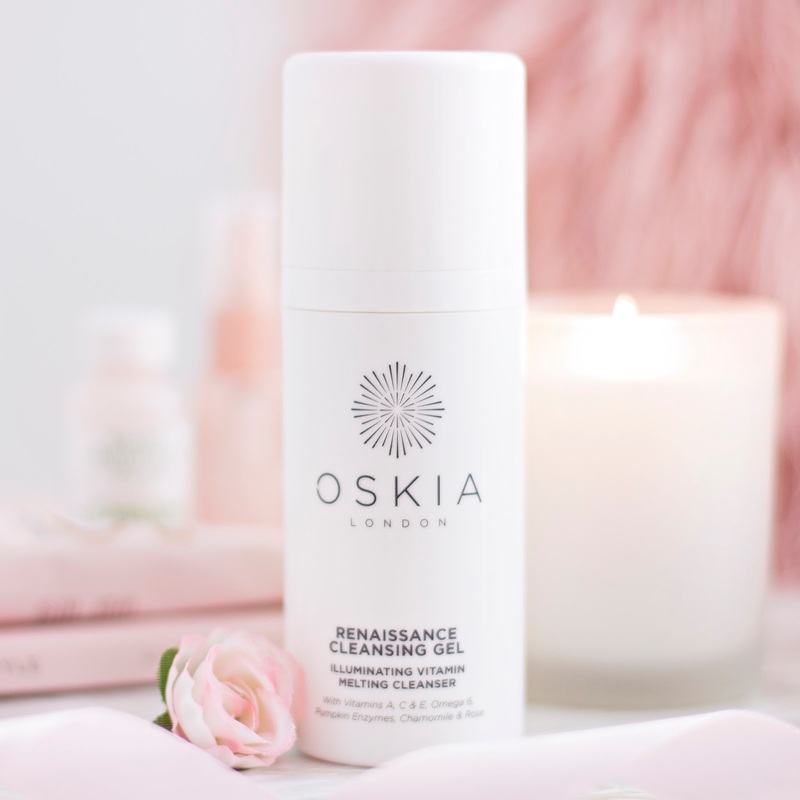 The Oskia Renaissance Cleansing Gel remains a firm favourite in my routine, I actually love it so much that I keep spare bottles in the cupboard at all times because I couldn't be without it for one day. It's a gel cleanser that is pink in colour and smells like roses (have I convinced you yet?) When rinsed off it turns milky and leaves a slight residue behind, which I love because it feels soft and moisturising even after it's been removed. I could write essays on why I love this product, but I recommend you to check it out for yourself, I'm sure you'll fall in love too! Drop everything, this one is a game changer. If you have dry skin and you're reading this post, head over to Beauty Bay and pick up The Ordinary's Hyaluronic acid right now, because this really is a miracle product. Using the eyedropper I apply 1-2 drops of this serum to my fingertips and then I massage it into my whole face morning and night, it looks like water but has the texture of a serum so it's not too difficult to apply. At first this feels really tacky, but as soon as you add another product the sticky feeling goes away, leaving you with plump, soft skin which you won't be able to stop touching. I'm not sure how the science behind this works, but it just seems to make all of my other products work harder, it feels like everything in my routine is contributing towards more moisturised skin, but this is the key that ties it all together. 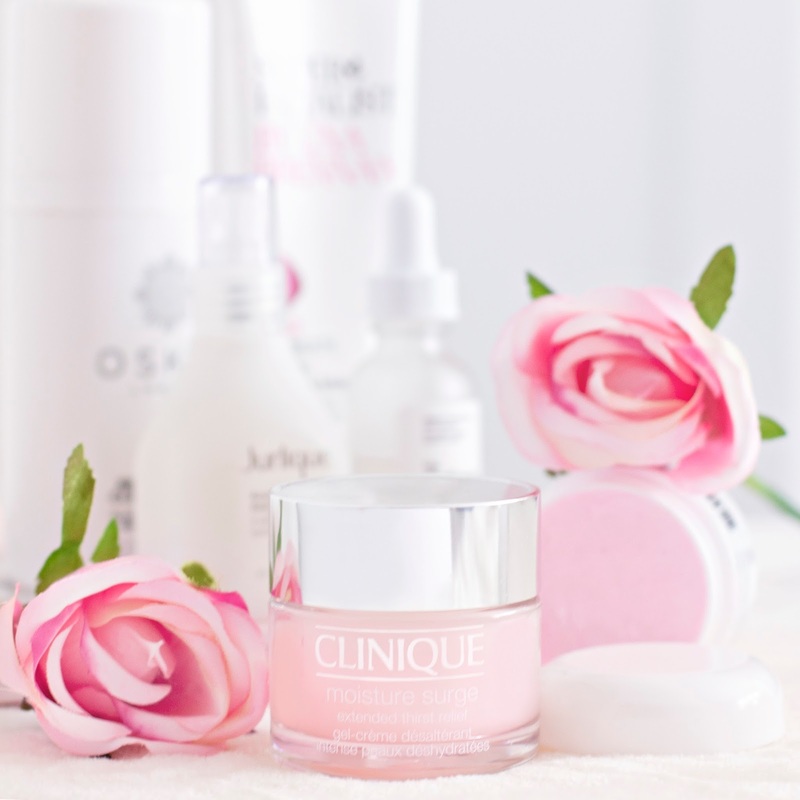 Clinique's Moisture Surge Moisturiser is another old favourite, which I have probably repurchased 10 times by this point. This pink gel based cream feels cooling and soothing when applied to dry skin, and leaves if feeling incredibly soft and hydrated. I have tried so many other moisturisers and nothing has managed to come close to the same level of hydration, so for me it's worth every penny of it's £34 price tag, and a little goes a long way so it lasts for ages! When I read that the Hydro Emollient Cream from Mario Badescu is meant for use in flights, I new it would be powerful enough for my severely dry skin. This cream moisturiser is very thick, and very heavy, which is why I only use it at night when my skin really needs the extra hit of hydration. It's not scented and the packaging is very simple, but it packs a serious punch in the moisture department. It does leave a coated feeling behind, so it only really works as a night cream, but I'm really excited to try it on a long haul flight too! Kiehl's Creamy Eye Treatment With Avocado is not a perfect eye cream for me, but it's the closest I have come to one. It does feel soothing, which is high up my list of priorities when it comes to eye products, and it does hydrate my under eye area, but just not quite enough for my needs. It's worth noting that my under eyes are the driest part of my face, so much so that I can't even apply concealer for fear of it flaking off, but for normal-moderately dry skin types I think this cream will tick all of the boxes. 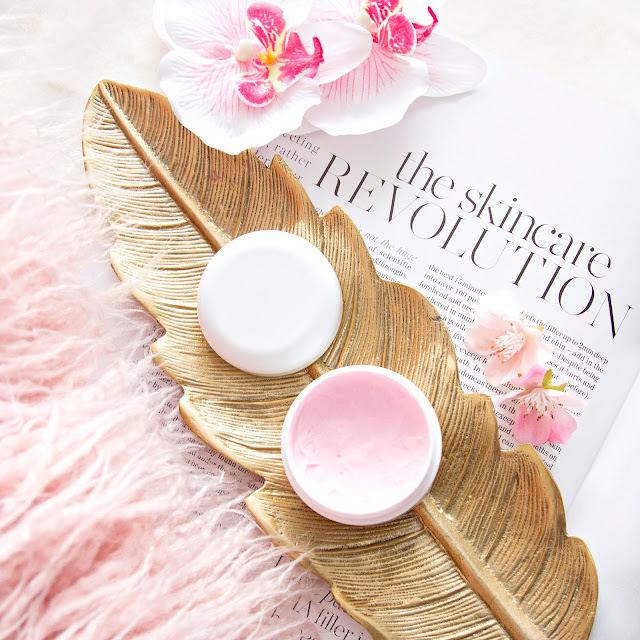 I love everything about the Rose Hydrate Moisture Mask from the Superfacialist brand. It smells like roses which I adore and it feels so creamy and luxurious to apply. I like to leave it on for 10 minutes which is enough time for it to completely transform my skin from dull and tired, to bright and glowy. The effects only really last for a day, so I like to use this twice a week, and luckily it's gentle enough to do so. *I can't find this on the Boots website anymore, I hope it's not discontinued! Now that I finally have my morning and evening routines nailed down, all I needed was something to top up the moisture levels in between ... enter Jurlique's Rosewater Balancing Mist. * I like to spritz this over my face throughout the day and it helps to bring a bit of a dewy look back to my makeup, as well as adding the extra hydration that I need in between moisturising. It's a super fine mist which smells very subtly of roses (are you sensing a theme here?) and comes in a beautiful frosted glass bottle. So that's the routine I've been using to heal my dry skin, hopefully with the warmer weather on the way I'll be changing it up a little bit, so I'll be sure to update you again soon! Let me know if you have any more recommendations!